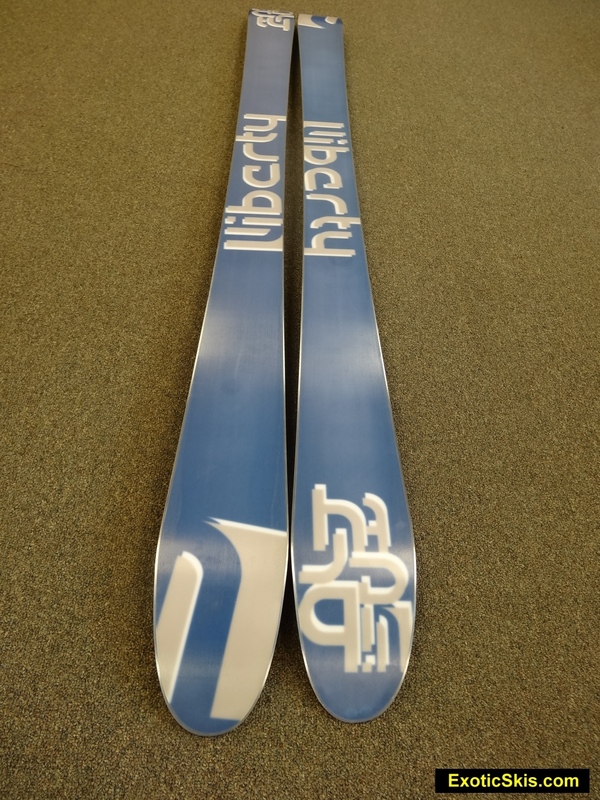 James Satloff and Dan Chalfant had the idea for Liberty Skis in 2002. After winning $24,000 at the Mandalay Bay craps tables at the SIA show in Las Vegas, they contracted to have their design ideas manufactured as the first sample skis. Over the last 10 years, they have refined innovative designs and won industry-wide praise for many of their models such as the Helix and Genome which continue to have a rabid following from skiers around the World. 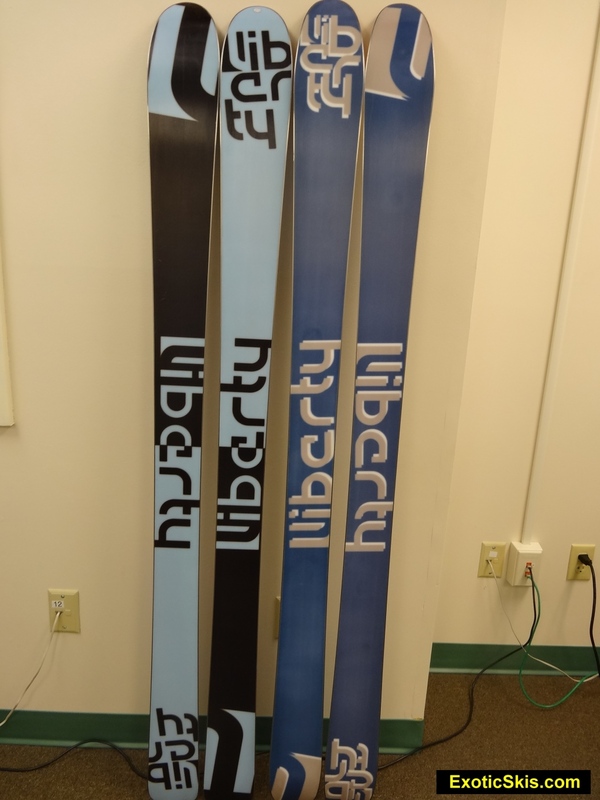 Liberty is one of the original small ski companies of modern times and has survived and thrived to become a design powerhouse widely recognized for producing extremely popular, high performance and high fun-factor skis. 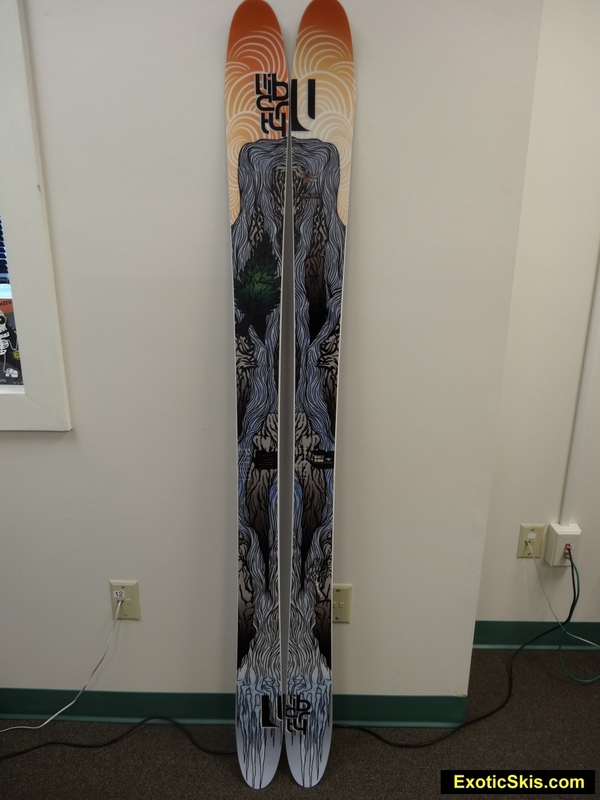 "The Sequence combines performance and playfulness, with Stealth Rocker and a tapered tip and tail shape that makes both carving turns and slashing powder easier. A snappy bamboo laminate core and optimized camber through the tail means you won’t have to switch skis if you find powder, groomed runs, or hit the park. A fun and dependable ski in the perfect width for all your adventures on snow." The description of the Sequence is right on (thanks Liberty). The Sequence is a multipurpose, nearly do-it-all ski with a lively, bright, eager personality tending toward the surfier-end of the all-mountain ski spectrum rather than the more directional, carving-ski-got-some-rocker end of the spectrum. Racer-types, hard-chargers or heavyweights might find the Sequence too soft for their tastes. 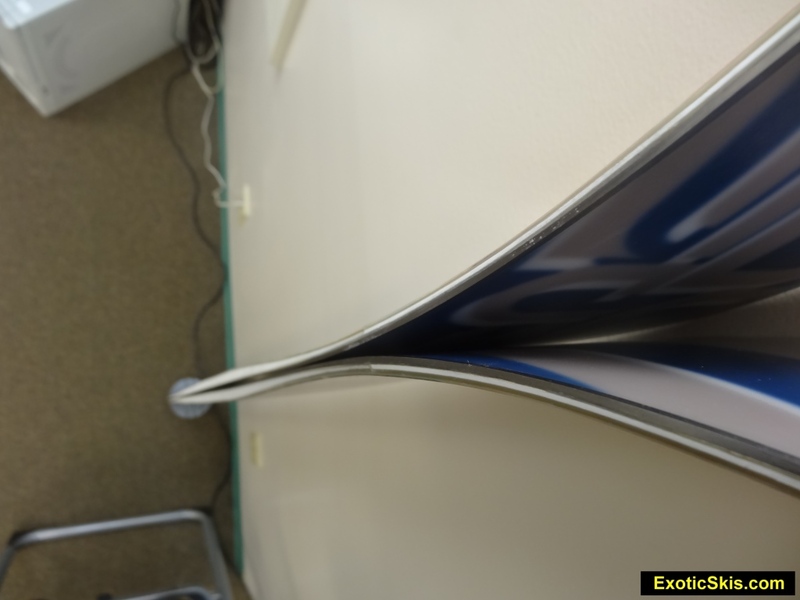 The Sequence is energetic, super easy handling and fun, yet can deliver an above-average bite on firm surfaces when asked. Powder handling is fun and very agile...more tree ski than big-line freighttrain. Playful is a good word to describe the 95mm waisted Sequence. The softish, long-low rockered tip, slight camber underfoot and essentially flat tail let the Sequence surf through pretty much anything with very little effort, yet the torsional integrity of the bamboo-poplar core with quadraxial fiberglass provides a solid gripping ski when pressed into the surface on-edge, and has a great zip and pop when loaded and released. Boilerplate surfaces can make the ski feel a bit loose, but never disconnected. Super high speeds will produce a bit of flap and you can overpower the Sequence if you muscle it too much (which you don't need to do). 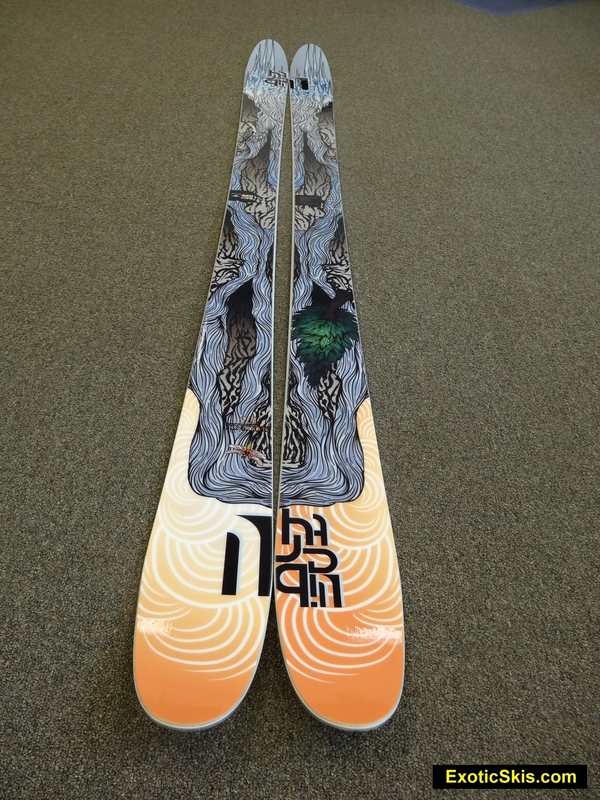 The feel is very light and responsive...quicker than most skis its size. We can't think of anyone who wouldn't think this is a super fun ride for nearly any day on the mountain. Liberty has another crowdpleaser design in the Sequence. The Sequences arrived in protective, zippered sleeve with individual pockets for each ski, keeping the superb fit and finish pristine during shipping. The packaging of the skis shows how much Liberty cares about their product. The finishing work is some of the best we have seen on a commercial ski...very impressive. 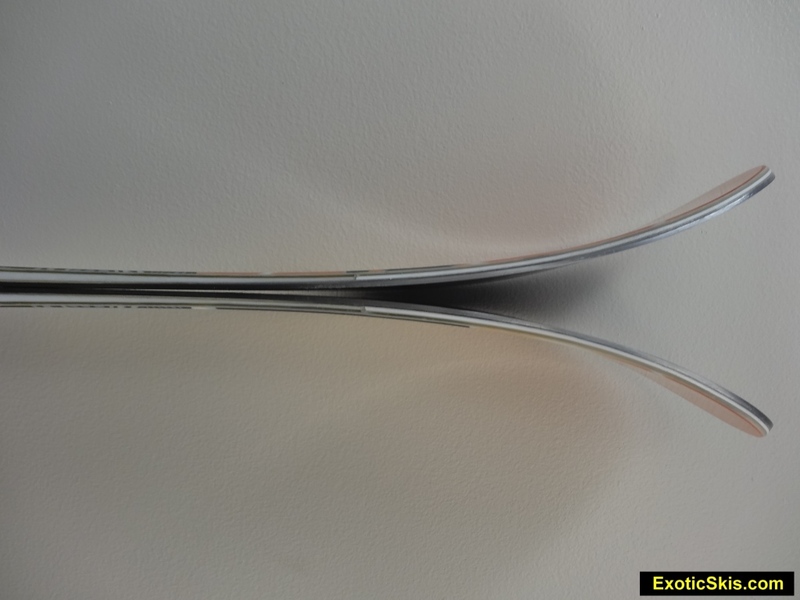 The skis have a moderately soft flex tip and tail, moderate flex underfoot, and moderate torsional strength with a snappy rebound and moderate dampening. We considered the out-of-the-bag base finish and edge tuning "ready-to-ride" and merely waxed them for their initial outings. Very glossy topsheet with great graphics. Eastern corduroy, packed powder and hardpack groomers, ungroomed packed powder with small bumps, shin-deep to knee-deep powder conditions, both smooth and bumpy. Windpack, crust, chalky wind buff, fresh and old powder, weeds (sorry Dan). On our Eastern hardpack and boilerplate, the Sequence feels somewhat loose because of its rockered tip and tail, but never "disconnected" since it has a bit of very effective camber underfoot. The formula works remarkably well, delivering its trademark playful handling unless you roll the ski onto its edge and pressure it into the hard surface to get the grip you want. The best bite response is delivered by pressuring forward into the forebody instead of directy underfoot.The bamboo core has excellent torsional integrity underfoot when carving, and can deliver a really impressive grip for such a lightweight and relatively surfy ski of 95mm underfoot. Mixed surfaces are playfully surfed with your choice of loose-and-smeary style, or on-edge cutting style...depending if you let the Sequence run flat, or roll it up on-edge. 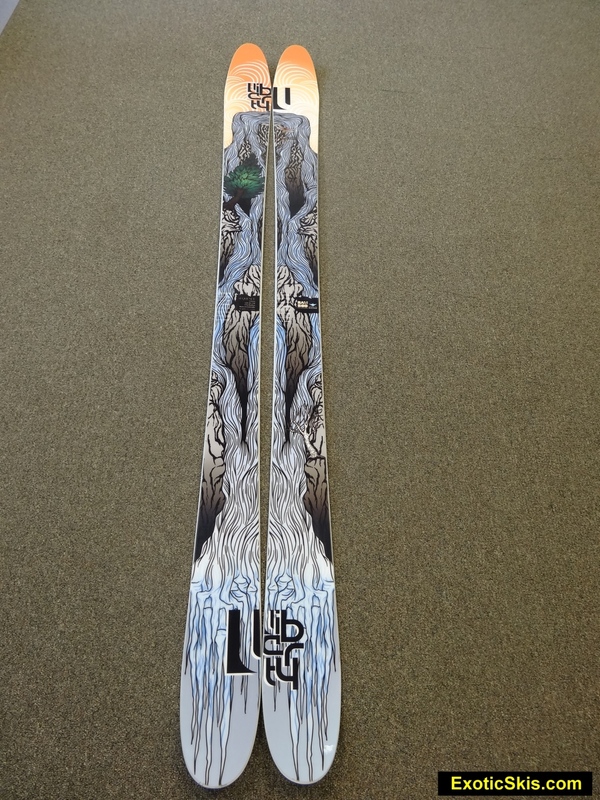 Liberty has created a fun, eager and responsive ski for mixed conditions which leans toward the surfy-side of the handling spectrum rather than the crud-cutter freight train side. The Sequence is one of the more lightweight-handling skis in this class, yet has an accurate and confident feel to it. While Liberty's Variant cuts through mixed surface conditions with an unwaivering, precise, strong slicing behavior, the Sequence is the bounding, playful, energetic ride. The progressive flex of the Sequence along its length works with the sidecut geometry really well to absorb undulating surfaces with great control without burning all your calorie reserves. You never feel like you have to hold it "on-line" or make constant corrections. The Sequence just pops along, crisply going where you place it, allowing you to make minor or major changes in direction really quickly or really slowly without any effort to speak of. There is a ton of fun, responsive energy in the Sequence, so you can bound up and over obstacles lickety-split when you want, or keep it planted in the surface, hugging the terrain as needed. The Sequence has a very wide range of performance available on tap, which makes it super versatile, and it handles with remarkable ease, allowing you to ski it in all kinds of conditions as they evolve during the day...which is really appealing. Since it is soft at both ends, the Sequence can deflect a bit if the surface gets ice-crust or contains chunks of frozen junk or is a refrozen patchwork of old, cut-up tracks. The good thing about the Sequence is it is easy to bring back on-line if it deflects a bit..unlike some skis which take off to another zip code when deflected. Overall, the Sequence is super fun and effortless in mixed conditions if you like a slightly surfy feel without giving up a secure and cambered grip underfoot. The Liberty Sequence handles bumps in a passive mode, absorbing and navigating the terrain rather than pounding over it. The soft flex allows you to absorb bump faces and trough bottoms without hammering the pilot. Some skiers want a stiff and rowdy bump ski to get big launching power and stout handling traits. The Sequence is a soft-flexing all-mountain ski, so it is more compliant than stiff. Fortunately, the bamboo core and fiberglass construction provides a surprising amount of rebound energy for a soft ski, making bump runs fun and exciting if you attack them with enthusiasm. The Sequence is quite agile in the bumps, and never fights the skier. The narrowed, turned up tails prevent hangups in tight bumpy conditions, as well as tight trees. A heavyweight skier or hard-pounding skier might find the Sequence too soft for an athletic run through the bumps, but the majority of skiers we think will find the Sequence remarkably nimble and compliant in bumpy terrain for its width. If the bumps are hard as rocks, the soft shovels of the Sequence can get a bit twisted and wash away slightly on the bump faces, but if the bumps are soft or filled with powder, the Sequence is a super fun and responsive, going just where you want on demand without any protests or quirky behaviors. The Sequence is "only" 95 mm underfoot, but its flex profile and geometry in powder make it super fun, nearly effortless, yet sporty and masterful like a more dedicated powder ski...without the "always on top" uber-floatation. It feels like a powder ski that was narrowed and given some camber under a more curvy geometry, so it feels completely at home in soft snow. You can get it to surf sideways if you unweight it a bit (again, it's 95mm underfoot), but it's most at home porpoising uip and down and back and forth in powder conditions rather than holding a steady surfing line. This behavior makes it one of the more fun and lively Eastern powder-condition tree and glade skis out there. The Sequence fits nicely in the Liberty lineup for someone looking for a powder-capable ski with less surface area and quicker handling capabilities than the ever-popular Helix model. A playful, fit and energetic bird dog with great manners. Eager to go out and stay out until it gets dark. Fun fun fun. Surfy-feeling tip and tail with secure footing throughout the midsection. Carefree handling in mixed conditions without heavy crust or chunks. Slightly loose feel on pure hardpack or pavement-like surfaces, but never detached. Speed limit detected at GS-like speeds - soft flex with a bit of flap at high speeds. Slow speed or higher-speed turns nearly effortless. Great variety of turn shapes and radii. Can be scubbed sideways or drifted on demand. 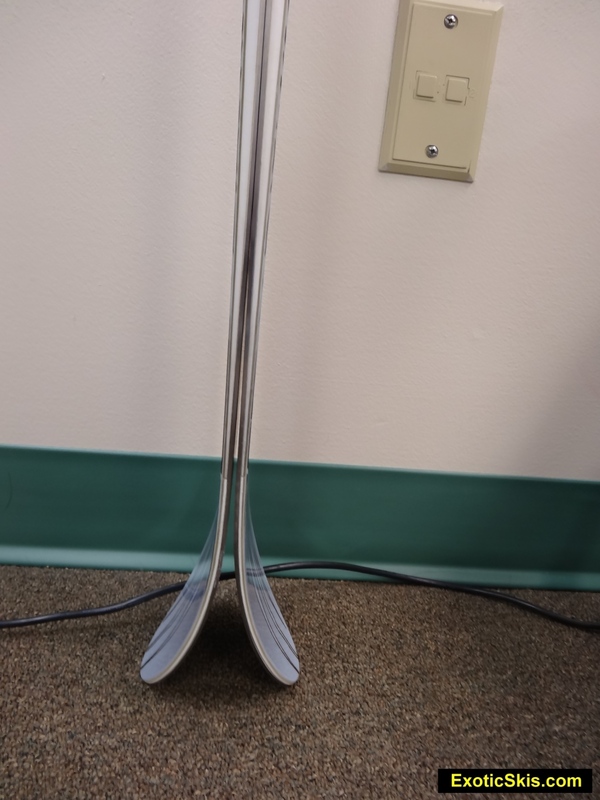 Remarkable bite for a soft ski when pressed with weight forward...better than some stiffer, narrower skis. Nothing...other than maybe offer a "Pro" version with a stiffer flex for heavy skiers or skiers looking for a high-speed ski with these dimensions and geometry. One of the most fun, playful, responsive and agile all-moutain freeride skis out there. Great ski unless you are a heavyweight or a muscle-car skier looking for a charging ski since it is relatively soft and can be overpowered. Effortless to ski in all nearly all kinds of conditions. Sits at the more surfy end of the all-mountan spectrum rather than directional and cutting-style, yet has some great grip on groomers when asked. If you are a heavyweight or athletic muscle-car type of skier, you might find the Sequence too soft for your taste. None found as of April, 2014. Is the 175cm the right length for someone your size? Any thoughts on the 182, as in does it retain similar east coast glade and bump properties? I am about 5 foot 11 inches...190 lbs and the 175 was perfect for Eastern trees and most "trails". 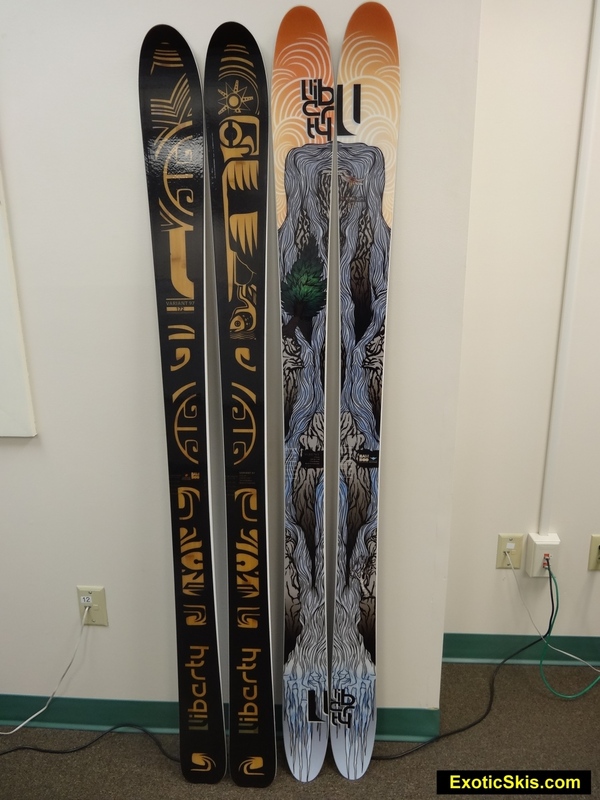 If I was going out west with this ski, I would bump up the size to 182cm. Hope this helps!